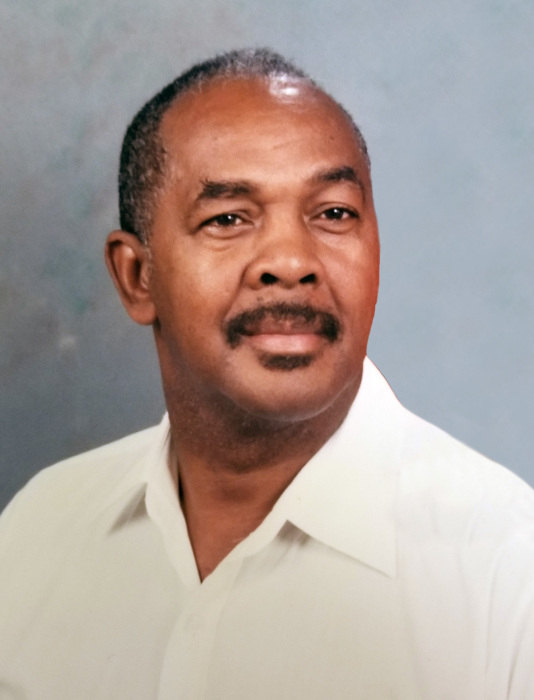 Theodore Sylvester Quail, 80, passed away peacefully surrounded by his family on February 7, 2019 at Delaware Hospice in Milford, DE. He was born on January 12, 1939 in Felton, DE to the late Herbert and Ruth Quail. Theodore was known affectionately as Ted or Teddy. Theodore received his education at William Henry School. He was employed by Acme Markets as a Manager for 30 years until he retired in 1997. Theodore married the love of his life, Lillian Tribbett on July 4, 1970. They shared 44 wonderful years together until her death in 2015. Years ago, Theodore accepted God into his life. Recently, he rededicated his life to God by accepting the Lord Jesus Christ as his personal savior. Theodore was a caring and dedicated husband ensuring his wife cared for nothing. He was also a caregiver to many. He made sure his family, and even his friends were taken care of; often coming to their aid in times of need. Theodore did not have any biological children, but helped and took care of his nieces, nephews, and cousins as if they were his own. He loved his family unconditionally, and often gave his last dime to others. Theodore was a person who enjoyed the company of others. He would spend hours talking to anyone he knew. You could often find him on his porch in warm weather saying or yelling “hey” to the people that drove or walk by. A lot of times, they would stop their travels, even the ones driving to spend some time with him. He would always have a cold bottle of water or a cold can of Pepsi waiting. Theodore along with his wife lived life to the fullest, and he did things on his terms, even if others did not agree with him. In his earlier years, he would host a lot of barbeques in his gazebo. There were many late nights playing card games in that gazebo. Theodore will be missed by all who knew him. We are going to miss hearing him say “hey there young lady” or “hey there young fella”. We are going to miss his goodbyes when he would say “I love you, I’m going to always love you”. Theodore was preceded in death by his parents; Herbert and Ruth Quail; his wife of 44 years, Lillian Quail; sisters, Betty, Carine, Alice, Helena, Harriett, Anna Mae, and Delores; brothers; Calvin, Louis, Robert, Barrett, Clifford, Paul, Harold, and Herbert Jr. He leaves to cherish his memory his brother James (Gloria), Felton, DE; three sisters, Dorothy Morris, Tampa, FL, Arnetta (James) Brooks, Dover, DE, and Margaret Quail, Felton, DE; one aunt, Libby Butcher, West Chester, PA; one brother-in-law, John Tribbett, six sisters-in-law, Ellen Quail, Anna Quail, Ruth Burris, Frances Lamb, Louise Dickerson, and Maude Young, and a host of nieces, nephews, cousins, and friends. A funeral service will be Noon Thursday, February 14, 2019 at the Pippin Funeral Home, 119 W. Camden Wyoming Avenue, Wyoming, DE 19934 where there will be a viewing from 10:00 A.M. until Noon on Thursday. Burial will follow in Sharon Hills Memorial Park, Dover. Online condolences may be made via www.pippinfuneralhome.com.